As we age we lose volume in the cheeks. This can cause the cheeks to flatten or sag, which can in turn emphasise bags under the eyes and nasolabial folds. Dermal filler can be placed in the cheek area to replace the lost volume and give a more youthful appearance. Sometimes treating cheek volume can improve the appearance of the ‘tear trough‘. As a general rule, we recommend using at least 1.0 ml dermal filler to each cheek to replace volume. A thicker, longer lasting filler can be used in the cheek area. In the picture below, our patients have had dermal filler to the cheeks to replace lost volume. You can see that in the after photo the bags under the eyes (‘tear trough‘) are reduced and the cheeks have been lifted. How much cheek filler do I need? We tend to use between 1ml and 3ml of cheek filler per treatment in order to achieve the results that you are after. 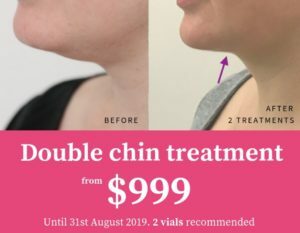 How much does cheek dermal filler cost? At Cityskin we charge from $650 for 1ml of dermal filler. The video below shows Bianca Quon from Cityskin discussing the cost of cheek fillers. Have a read of our cost page for a full breakdown of dermal filler costs. 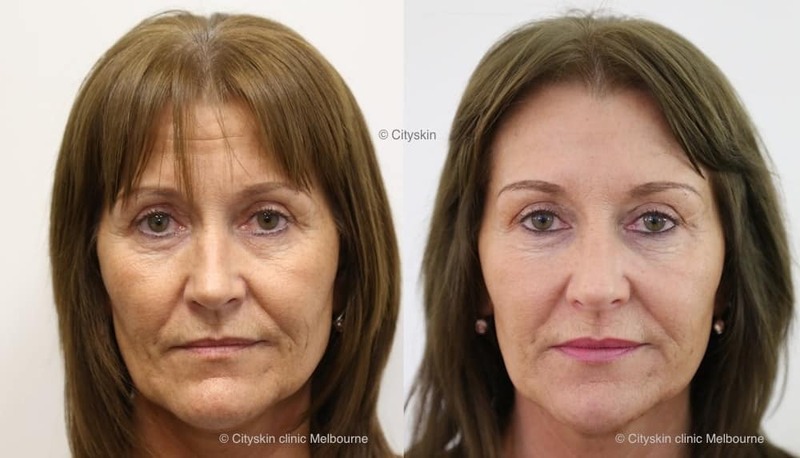 At Cityskin we have a wide range of the best dermal fillers and select the correct product for each patient. Longer lasting fillers can be used in the cheeks which can, in some patients, last up to 2 years . Bianca Quon from Cityskin discusses how to treat a 30 year old patient’s cheeks with dermal fillers. When should I start having cheek dermal fillers? Is there a correct age? The video below discusses when patients should consider having cheek fillers.